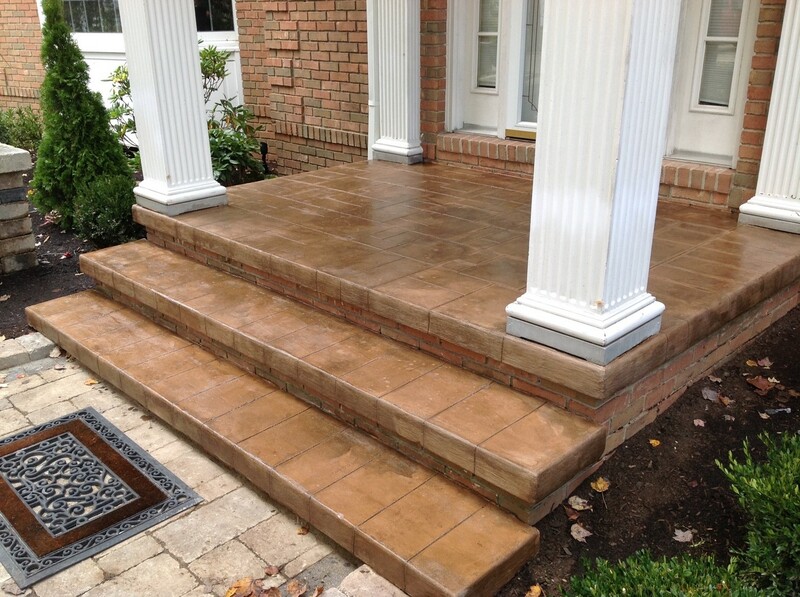 Finishes Beyond Decorative Concrete & Your Expectations! iCOAT Flooring products are designed and formulated to exceed performance and results expectations of distributors, installers and end users. iCOAT Products have stood the test of time for nearly 20 years installing interior and exterior projects. iCOAT Flooring overlays are specifically formulated to provide maximum adhesion, have excellent workability and produce first class looks at a great price. iCOAT has always engineered their products by employing extensive field testing on real projects, not just sample boards. iCOAT Flooring products are very strong and light-weight concrete that is troweled on new or existing concrete. iCOAT Products are an excellent value. iCOAT Installers can create a wide array of exciting patterned or seamless finishes onsite for little more than a low end tile installation. iCOAT floors can be done in any shape, size or color and can many times be applied directly over existing tile flooring. iCOAT Flooring also lends itself perfectly for creating the trendy larger tiles at a fraction of the price of real stone or tile. iCOAT Floors can also be installed over radiant heating setups to provide an aesthetically pleasing and functional floor. iCOAT Flooring Products have been used to create expensive looks for exterior and interior projects. They give the opportunity to transform a bland basement, kitchen, bathroom or other interior floors into showplaces. For exterior transformations, you can create masterpieces for patios, pool decks, walkways and driveways that add value to any commercial or residential project. iCOAT Flooring products are stain resistant, UV resistant and provide a durable and maintenance free floor for many years. iCOAT Flooring products utilizes unique aggregates in a highly modified concrete mix manufactured under stringent quality controls to assure consistent composition and color absorption. iCOAT Flooring products are a result of experience, excellence and adaptability. iCOAT is continually striving to secure the very best in raw materials, employ the latest in technology and the perform Quality Control procedures at the highest level which is why can claim our position at the front of the decorative concrete industry. These floors are excellent indoors AND outdoors We can install this iCOAT Flooring overlay system for you, or teach you how to install it yourself. iCOAT uses these sealers and more as appropriate for the application. U2112 One Day Stain top coat. Yields approx 400 sf per gal. As a primer, yield approximately 500 sf per gal.